A fine place to enjoy your stay in Porto, with clean rooms and fresh laid beds. And don't forget your free breakfast! 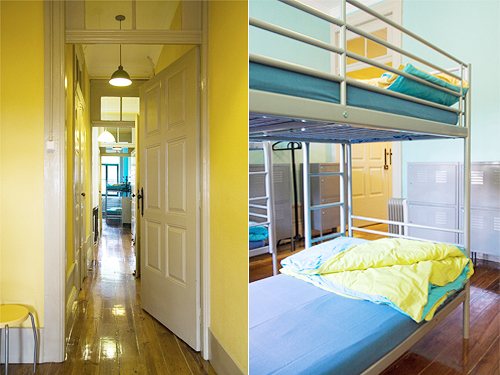 Oporto Sky hostel is located in the centre of Porto near Boavista. To arrive to Oporto Sky hostel from the airport or the train station take the metro and get off at Lapa station and walk 50 meters up the street then turn right walk for 30 meters and we are at the white House with a green door, on the right side .